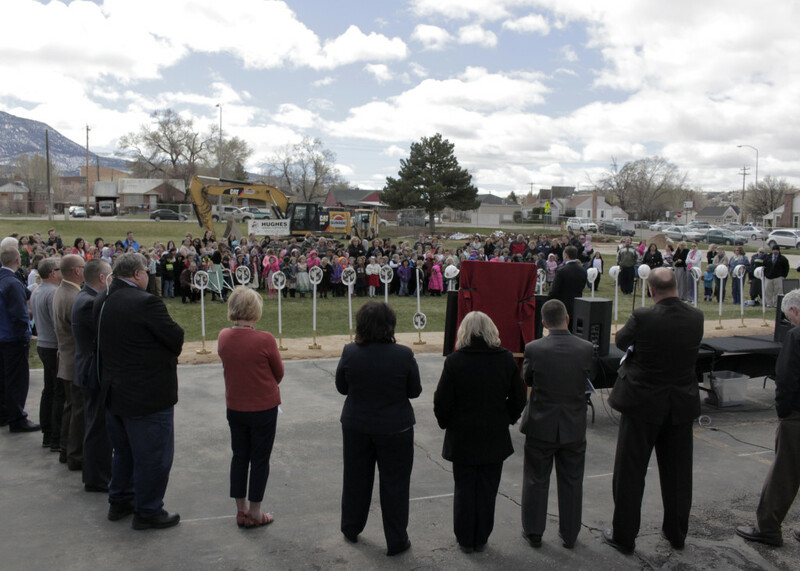 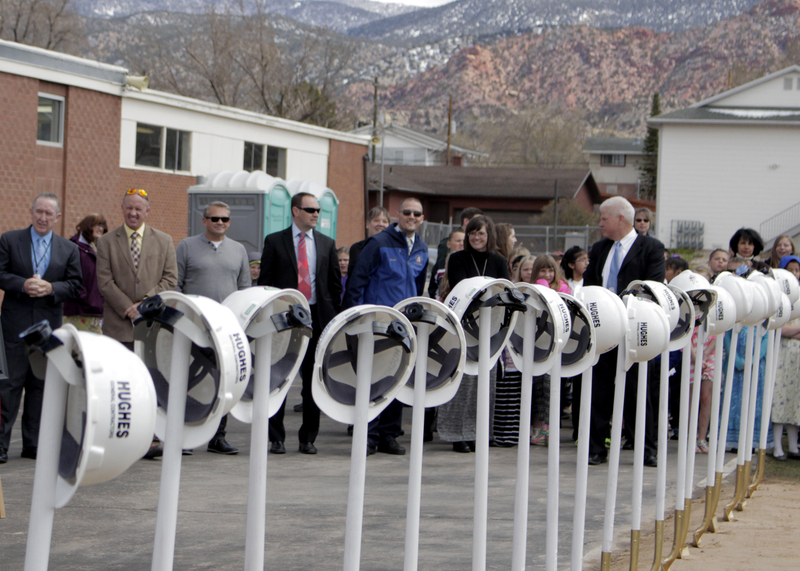 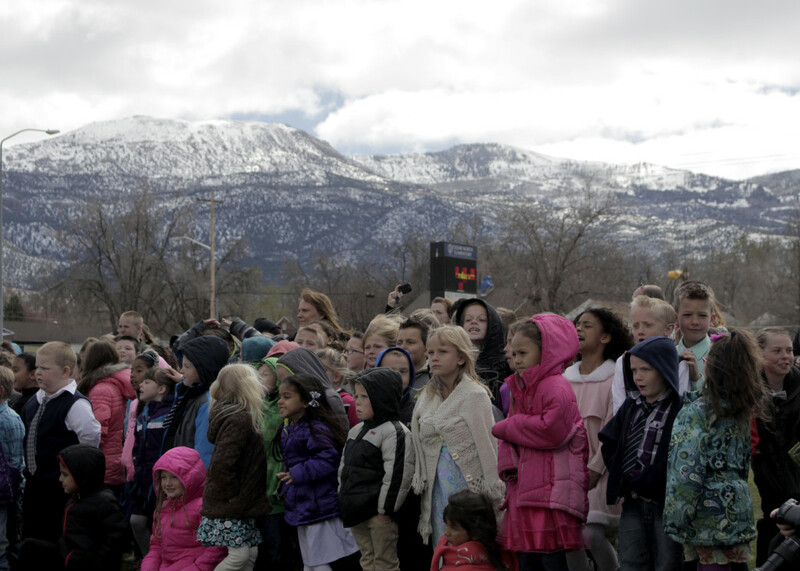 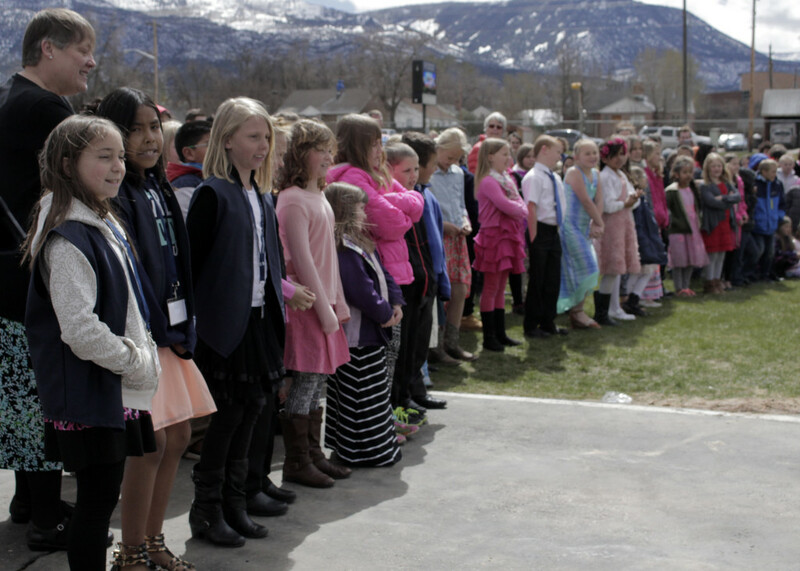 CEDAR CITY – Cedar North Elementary students, teachers, city leaders and contractors braved a chill wind Wednesday to break ground for construction of a new school. 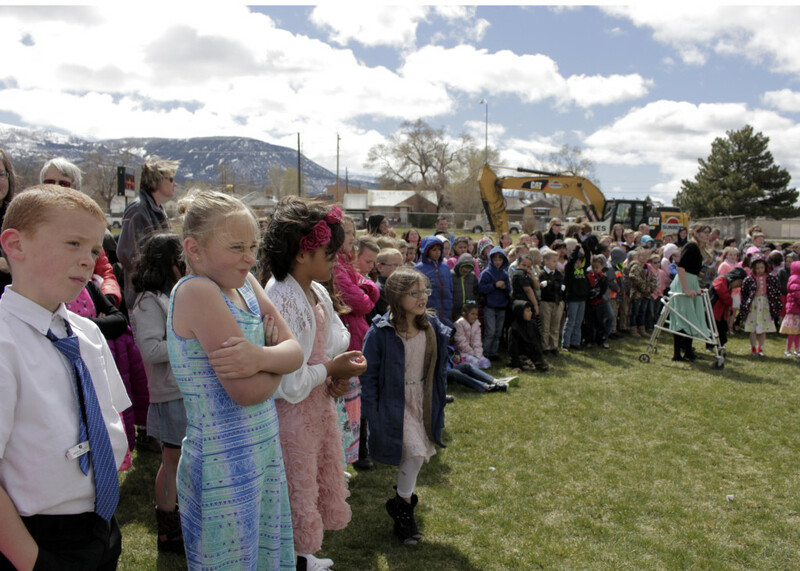 “Do you all realize that about a year-and-a-half down the road, where you’re standing right now will be our new school,” Iron County School District Superintendent Shannon Dulaney asked the hundreds of fresh-faced children before her who were dressed in their best for the special occasion. 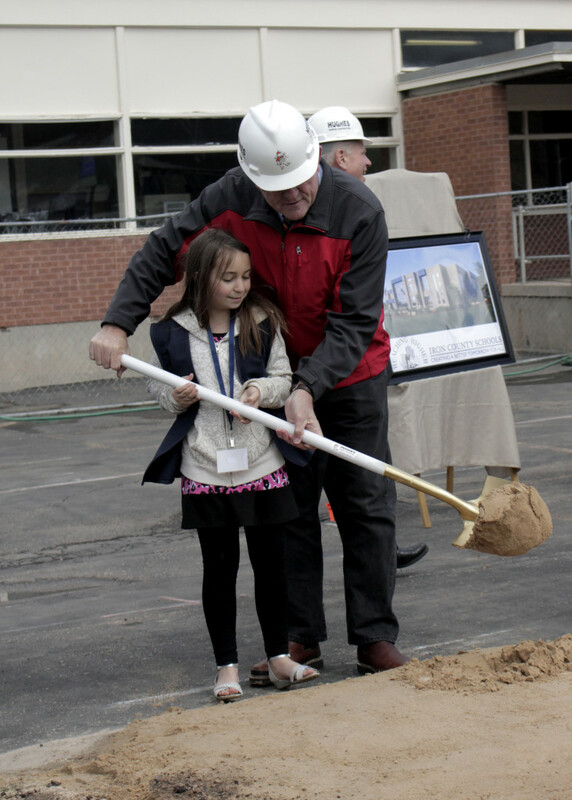 There was a lot of community history that took place in the old building, Dulaney said, adding that Iron County School District Business Administrator Kent Peterson was actually a student in the first kindergarten class to ever attend Cedar North Elementary School. 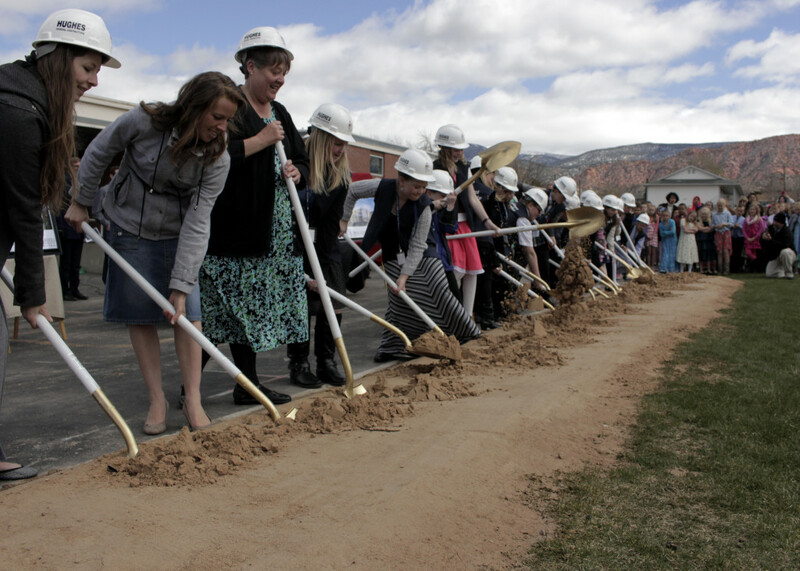 District math specialist and Cedar City Councilman Fred Rowley said he taught at Cedar North Elementary for three years. 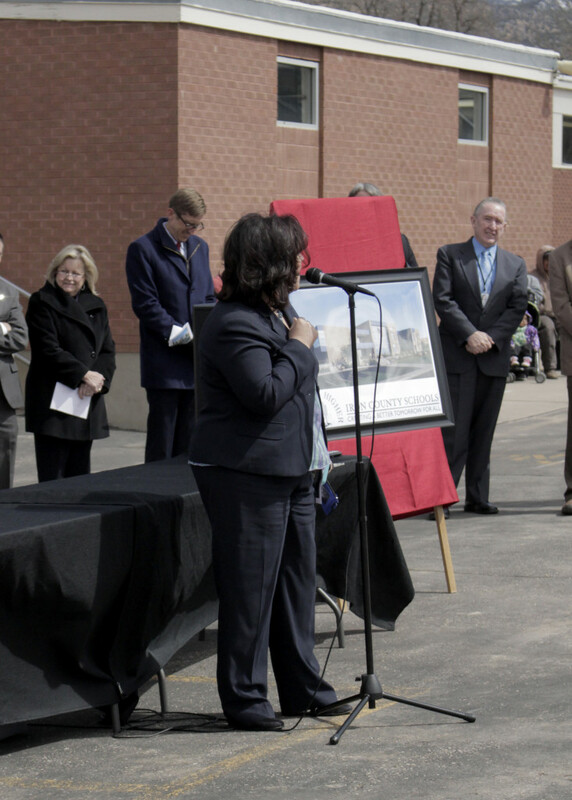 The new building will not only catapult the new programing at the school into the future, it will also help solve a lot of problems that come along with a structure that was built in the early 1950s. 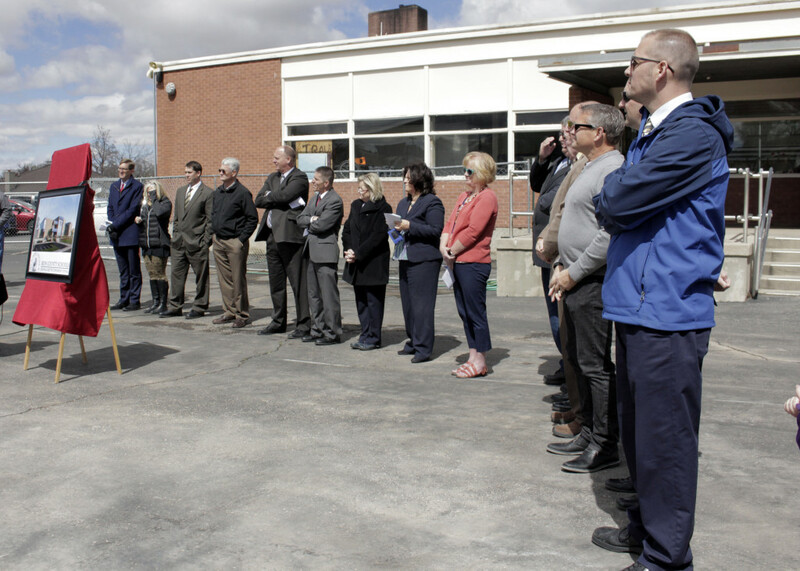 Issues that ranged from compliance with the Americans with Disabilities Act of 1990 to proper heating and cooling were a constant problem when he was there, Rowley said. 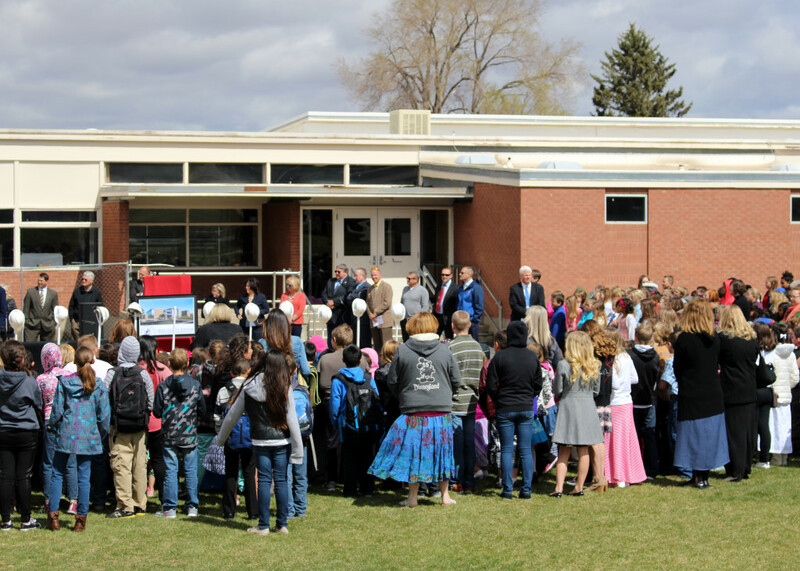 The new structure will relieve all of those concerns. 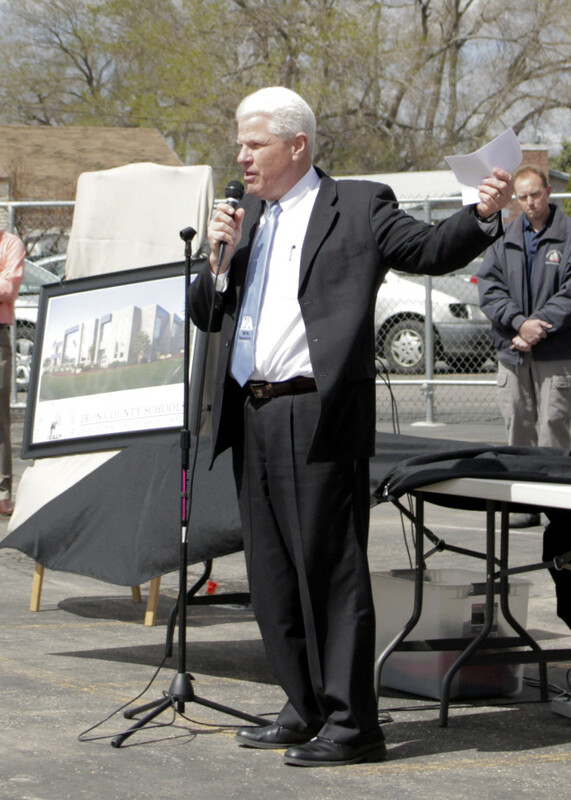 “Also, city-wise, the district wanted to keep a presence downtown in the city to keep life flowing here,” he said. 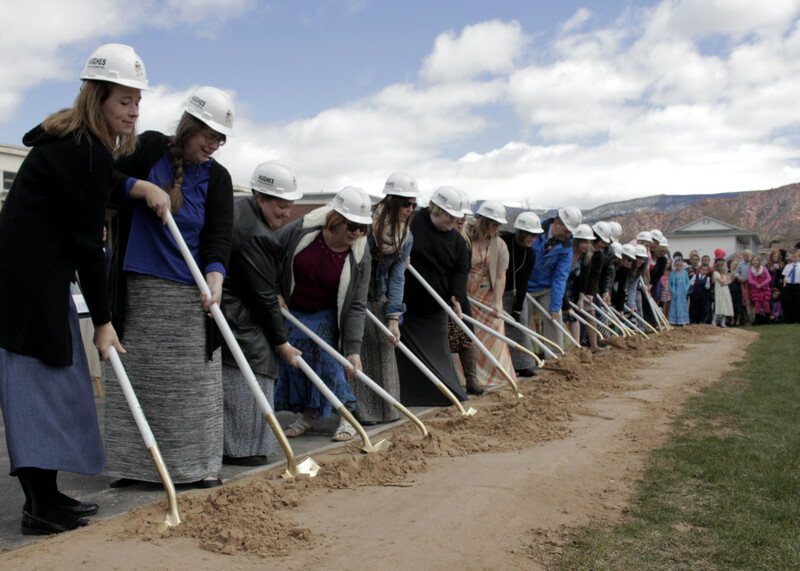 The groundbreaking for the new building was about a week ahead of schedule, said Hunter Shaheen, Iron County School District Building consultant. 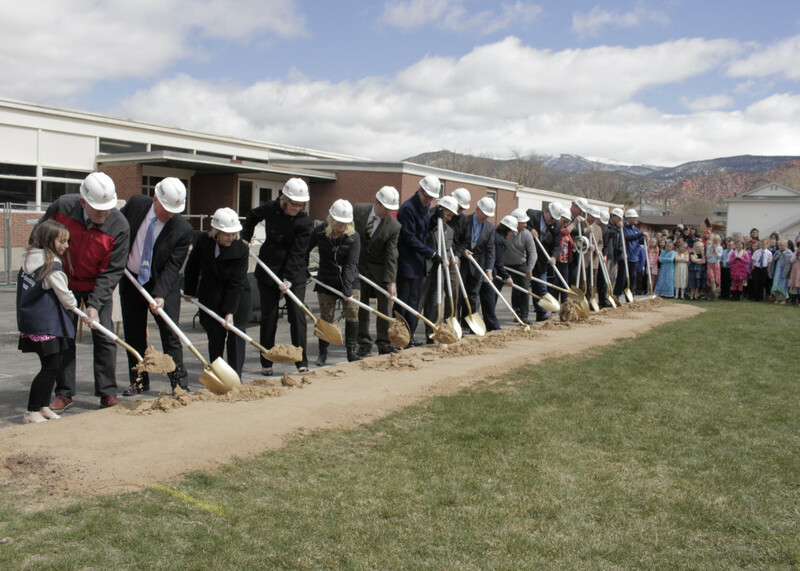 “Come next week, none of this will be here,” he said, pointing to the grassy field to the south of the current building. 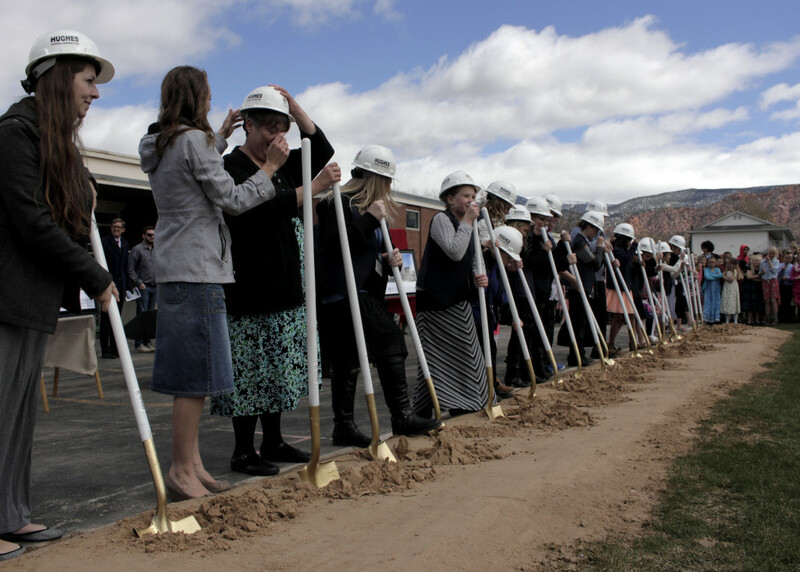 One by one, school district, city officials and development team members took their place in front of a shovel, donned hard hats and ceremoniously flipped the ground beneath them. 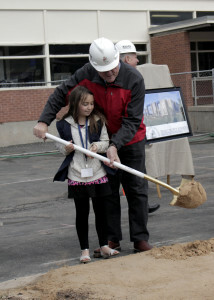 Kids from the Student Leadership Team followed suit, leading the way for each teacher to turn the sand as well. 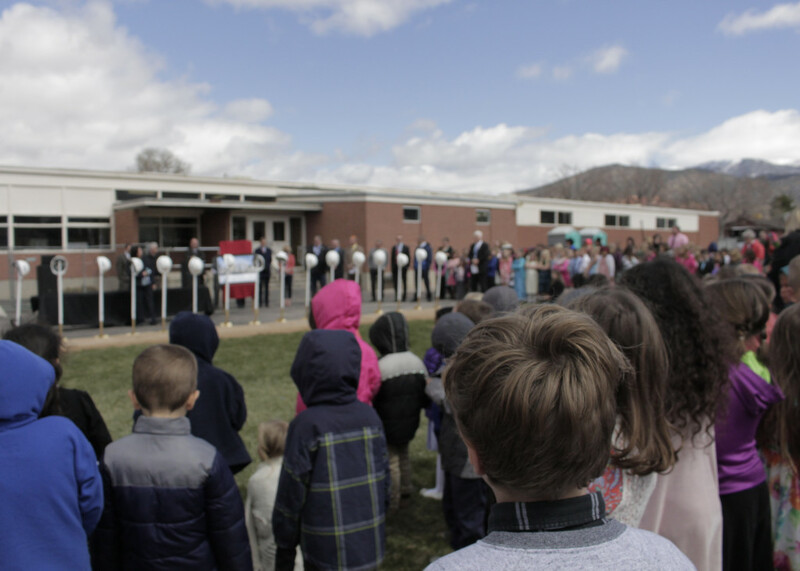 As the crowd broke and students and teachers prepared for buses to arrive, there was an excitement in the air that could be seen in the smiles on countless faces in the crowd. 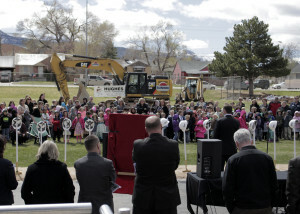 So much so, that despite the harsh winds many lingered for a while mixing, mingling and talking about the months ahead. 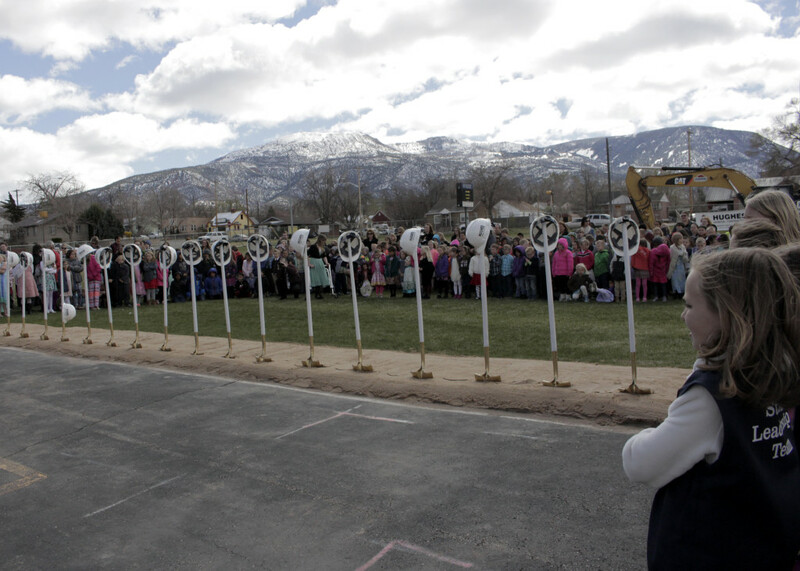 Shovels lined in a row waiting to be turned, Cedar North Elementary, Cedar City, Utah, March 23, 2016 | Photo by Carin Miller, St. George News .